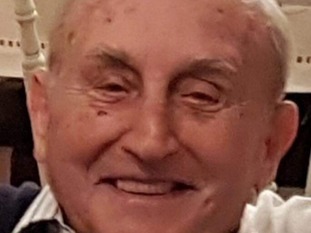 The family of an 87-year-old man who died in a car crash on Saturday have paid tribute to him. Tony Regan, from Whitchurch, Cardiff, died after his car collided with a central reservation in Llandaff North. Mr Regan’s family described him as a man who "lived life to the full". “His energy and laughter inspired both his family and friends and he always had a tale or two to tell about the War and his time spent in the Merchant Navy. “Originally from Tremorfa, a St Illtyd’s boy, he and his brother Colin were evacuated to Cwmparc during the Second World War where they spent two fun loving years. “Until recent years he was a dedicated member of St Albans Band, Cardiff, who played at the Cardiff Arms Park on rugby internationals until the mid-1980s. “He married Pat (late) and settled in Whitchurch to be a loving husband, father and grandfather. Witnesses to the collision or anyone with information is asked to contact South Wales Police on 101.